Welcome to the Labyrinth Learning Blog! Welcome to the Labyrinth Learning Blog! We are glad you’ve stopped by to check out our latest online adventure. We look forward to sharing lots of great information and ideas with you through our blog in the weeks to come, so stop by often for the latest news and information from us. After seeing the popularity of his textbooks among his own students and other local instructors, Brian decided to start his own company in order to help even more students achieve success. To date, over two million students have benefitted from learning the Labyrinth way in high schools, community colleges, continuing education programs, career and technical education, corporate trainings, and other programs. 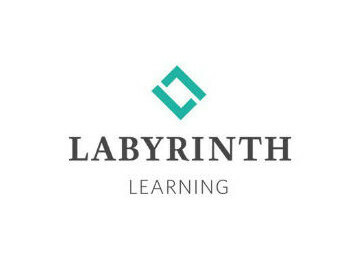 In addition to books, Labyrinth Learning’s solutions include instructor support materials, integrated learning management tools, and eLearning components. These solutions cover a variety of topics ranging from computers and technology to specific subjects such as accounting. Our goal is to make teaching and learning easier for everyone. We look forward to using our new blog to share more information about our products and ideas with you in the near future. Stay tuned for further updates. Also, be sure to connect with us on Facebook and Twitter for additional ideas and information.